Granted, public holidays in Europe don’t always make sense, either. They are usually a mixture of Christian days (like Christmas and Easter) and nationally important days (like Reunification Day in Germany or Kings Day in the Netherlands), with some odd ones in there as well (like Labour Day). But the public holiday we have here in Melbourne today really takes the cake. 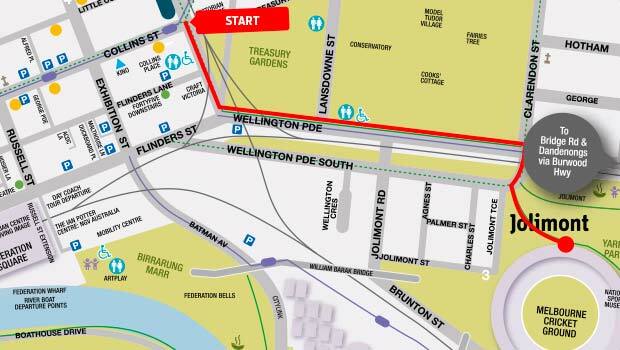 Taken from the AFL website: The route of the Grand Finals Parade. But the really far-out, sports related public holiday is coming up in about a month, on the first Tuesday of November. It’s the day that the “race that stops the nation” is held. It is going to be time for the Melbourne Cup! Yes, you read that right. There is a public holiday in Victoria because of a horse race. A horse race. 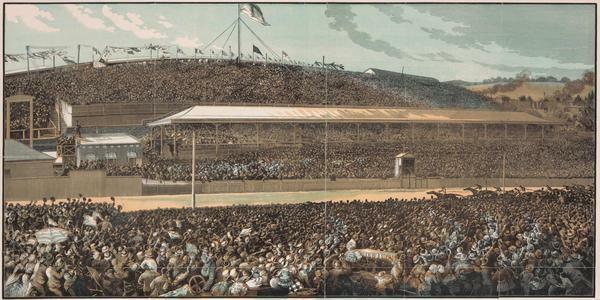 Engraving of the finish line at the Melbourne Cup of 1881. Made by “S.B.”, published in the Illustrated Australian News in November 1881. OK, it might be one of the richest races out there, and it might have been happening since the late 19th century, but, I mean, really?! And you already start seeing advertisements in restaurants that offer a multi-course “Cup Lunch” on that day for about twice as much as they would normally charge for their food. Designed in posh lettering and glitter. I guess we’ll have to see on the day, but for now I find this a pretty strange reason for a public holiday. Or maybe just very Oz. In der Tat schon recht eigenartig, Feiertage wegen Sportevents. Aber, in Düsseldorf und im Rheinland haben wir immerhin Karneval – ist ja auch etwas verrückt, nur weil man sich verkleidet, die Arbeit ausfallen zu lassen. Dann feiert ordentlich mit! Wer soll denn gewinnen, die Hawthorner oder die anderen? Geniet dan maar zeker van de mooie sportevenementen. Maar eh .. inderdaad vreemd om een schoolvakantie te plannen omdat er een sportevenement is 😟.